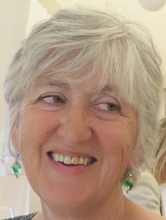 If you would like to catch up with Sally Howe, the heroine of Plotting for Beginners, you can read her blog at plottingforbeginners.com. I did 80% of the actual writing in terms of arranging words on the page. Sally Howe is the first person narrator and I wrote in Sally’s voice: it was vital to keep her voice clear and distinctive. Sally receives letters from her husband and emails from her friend, and Jane wrote each set of missives in different voices.